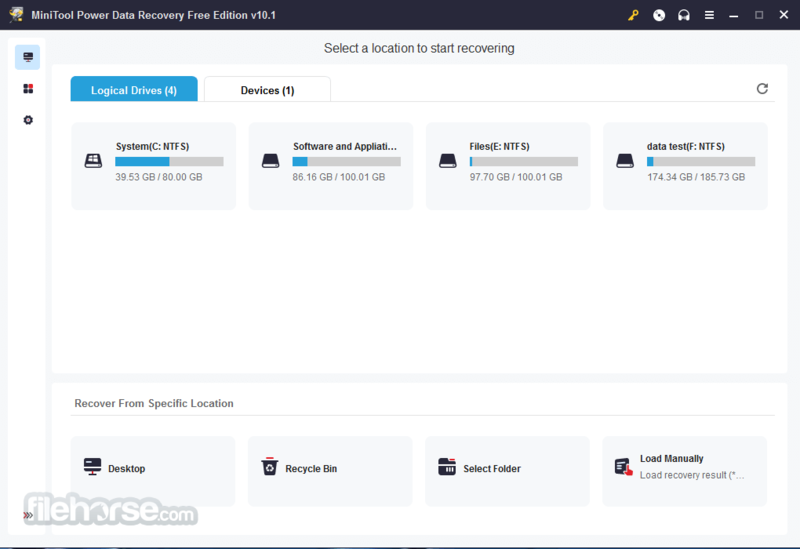 MiniTool Power Data Recovery Free Edition is an easy-to-use and all in one free file recovery software for home users. 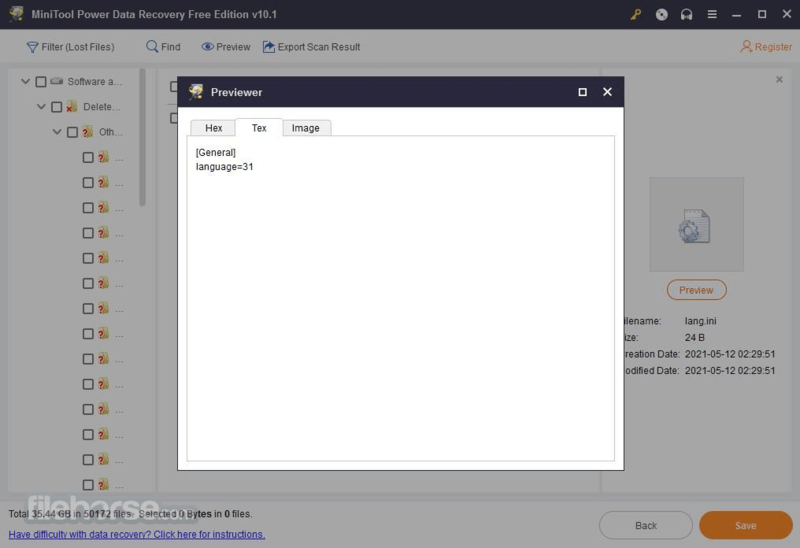 With this most effective free file recovery tool, you do not need to have technical background to use it. All the data recovery steps are logical and easy like 1-2-3. Just follow the data recovery step, and you will get your lost data back. Unlike other free file recovery software. MiniTool Power Data Recovery is very powerful and professional. 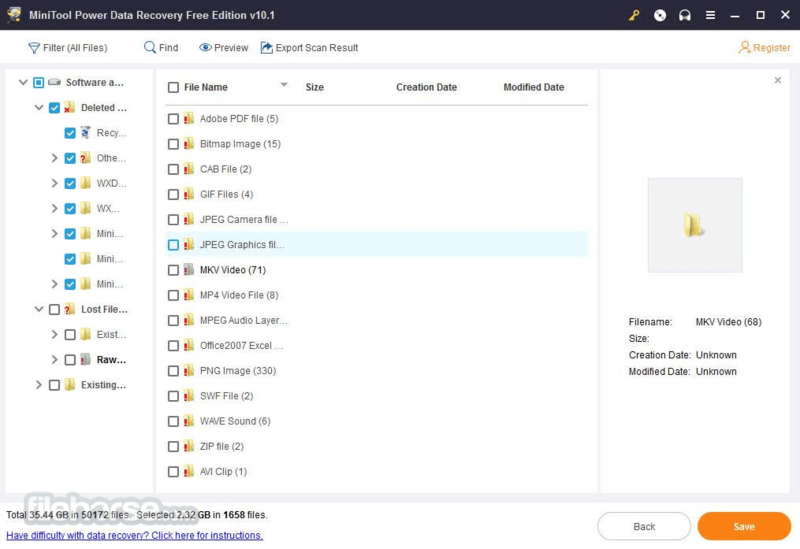 It not only helps you recover deleted files, but also recovers data from damaged, reformatted hard drive as well. Furthermore, MiniTool Power Data Recovery not only recovers data from hard disk and RAID device, but also supports to recover data from CD, DVD disks, memory card, memory stick, and flash drive. As a data recovery software suite, MiniTool Power Data Recovery includes five data recovery modules - Undelete Recovery, Damaged Partition Recovery, Lost Partition Recovery, Digital Media Recovery and CD/DVD Recovery. Each data recovery module focuses on different data loss condition. MiniTool Power Data Recovery is powerful, secure, efficient, and most importantly free. Try it out!